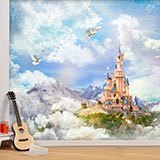 Wall mural Disney Castle between fog and mountains. 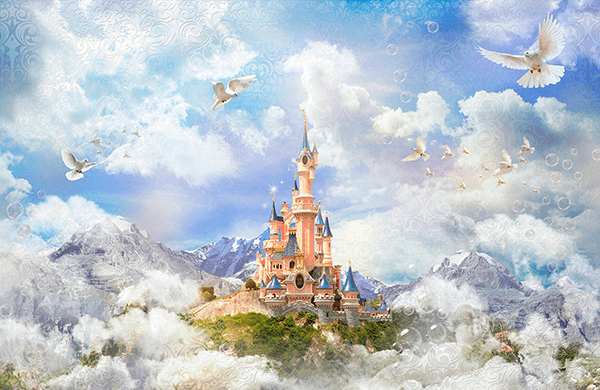 Incredible composition of the castle of Sleeping Beauty, Disney badge, hidden in the mountains. 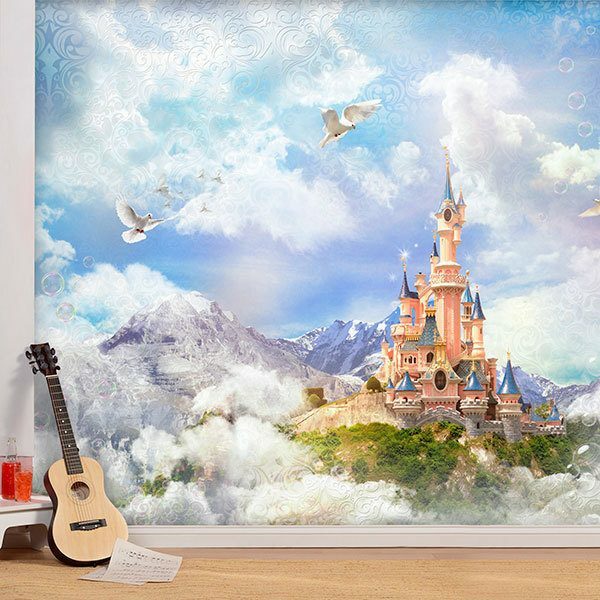 Fog and clouds surround the castle, several white doves fly around. 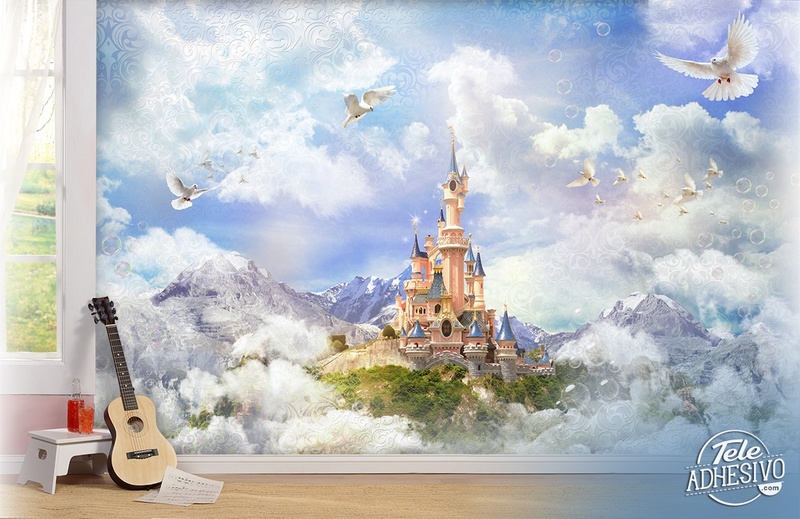 Where there are ornamental elements adorning the image.